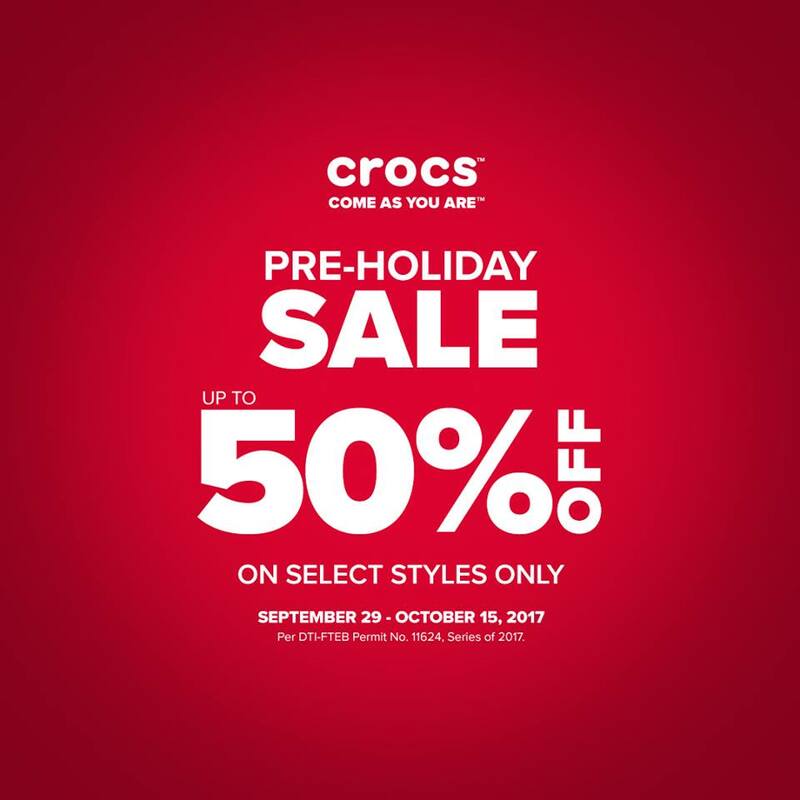 Check out Crocs PRE-HOLIDAY SALE happening until October 15, 2017! Get up to 50% off on select styles. Head over to your favorite Crocs Concept and Crocs outlet stores nationwide!